For the first time, in this unique monograph, the Decalogue Stone's true origin is revealed in a connection to a forgotten eighth-century Jewish colony in the American Southwest known as Calalus. If you are interested in Christianity, Judaism, Native American traditions, Southwest history or archeology, this book by an expert in epigraphy and historical monuments will fascinate you! Would you try another book from Donald N. Panther-Yates and/or David Coatney? 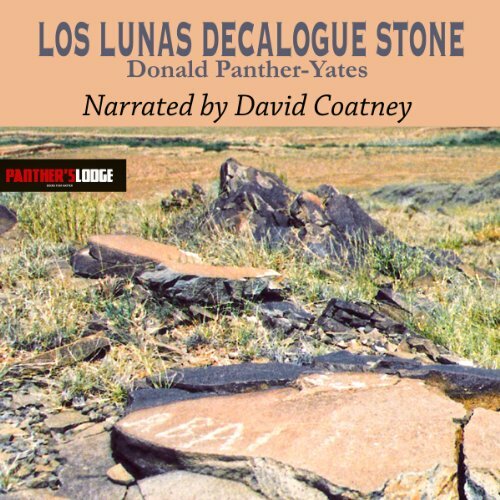 Would you ever listen to anything by Donald N. Panther-Yates again? I guess I should have returned this book immediately. I lived for a time near Los Lunas, and I knew that the first European settlement from Spain, coincided with the Spanish Inquisition. That might have led to possible emigration of Jews to New Mexico at a very early date. The 8th century? Please! I have just 2 words: Small and Pox.So what did happen to the indigenous populations in the years following 1492 would have happened in the 8th century! Enough said.